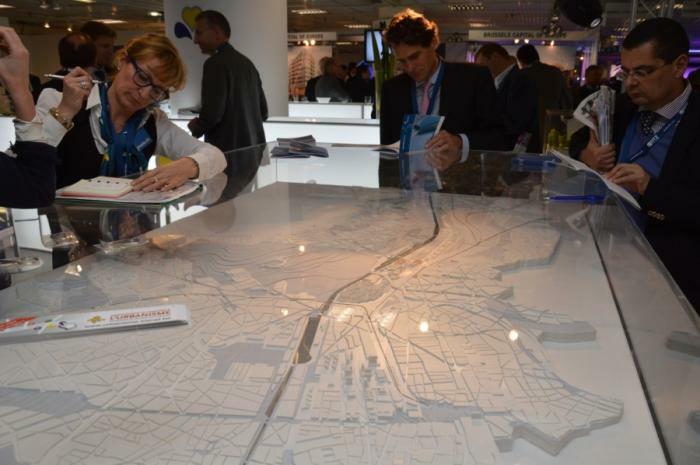 2013-05-13 – As it hasalready done in March during the MIPIM (video), the Brussels-Capital Region will put again the dynamism present in the Canal area and its manifold potential in the spotlight at Realty, the property fair for professionals that will be held in Thurn & Taxis from 28 to 30 May. 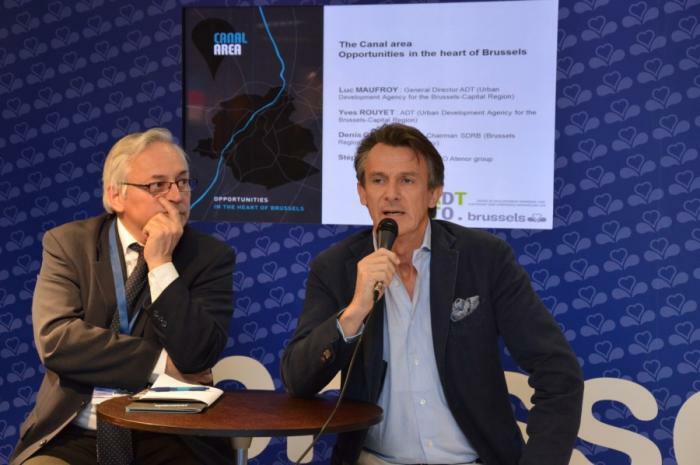 This will be achieved among other means by a brochureand a clip, two media inspired by the graphic approach of Bru+ and produced by the Urban Development Agency for the Brussels-Capital Region (ADT-ATO) with the support of the ERDF (European Regional Development Funds) and the Region. 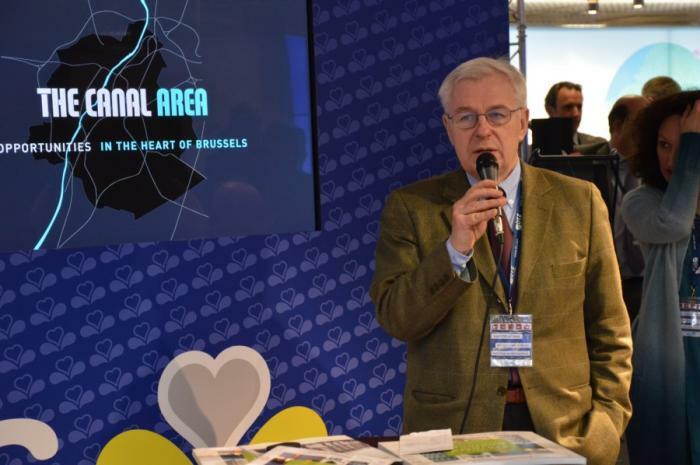 This part of Brussels offers numerous spaces and plenty of opportunities for innovation, growth, creativity, sustainable developments and ambition. The Region is also developing a strategy here which is based on this potential and aims to meet housing needs, as it is here that the significant demographic growth that is forecasted in Brussels will be concentrated. The authorities have already invested extensively here since the creation of the Region, in various sectors such as upgrading land, improving facilities, infrastructure, buildings and public spaces, and constructing and renovating housing. 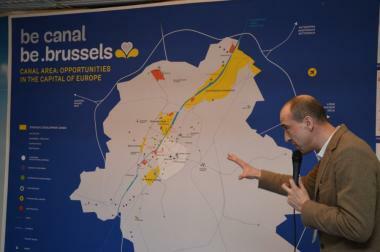 In recent years, there has been an abundance of achievements and ambitious projects – private, public and mixed: Belgium’s tallest residential tower, a new sustainable district, an European School, the first hotel overlooking the Canal, a cruise terminal, an eco-business park, andmore besides. Several strategic plans currently being devised will also converge to reinforce this underlying dynamism further.